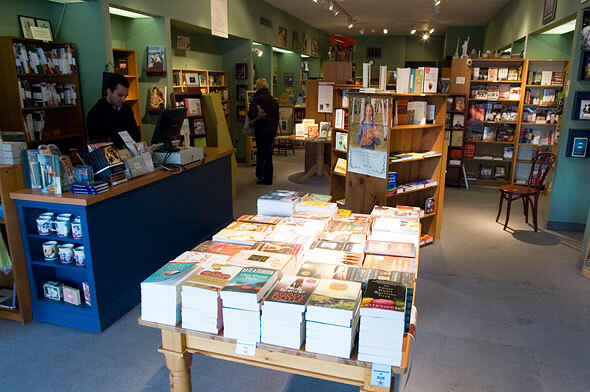 The Book Mark in Etobicoke is Toronto's oldest independent bookstore. In the 43 years of operation the store has moved twice and changed ownership a couple of times, yet remarkably, has maintained its charm throughout the years. By charm I mean a cozy, friendly not flashy or pretentious charm, something more fitting in a small town than the big city. Its location then is a natural fit, the wealthy West-end Bloor St. village of Kingsway. 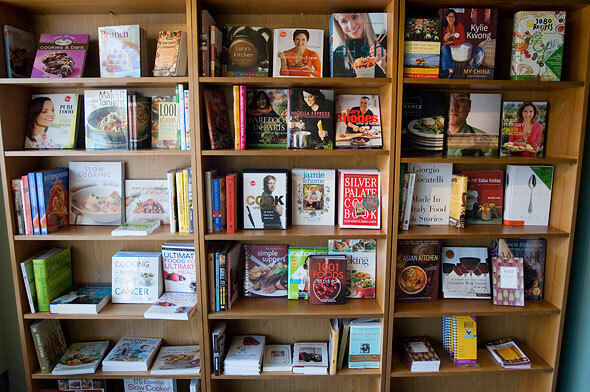 Despite the fact its targeted demographics are typically older, middle-age or young parents with infants, and not "twenty-something yupsters" , the staff is dedicated to knowing a wide variety of literature to fit particular tastes. The Book Mark is an important staple in West Toronto and it store should remain the oldest independent bookstore for a long time to come. Again though I caution, minipolisaphobics beware. 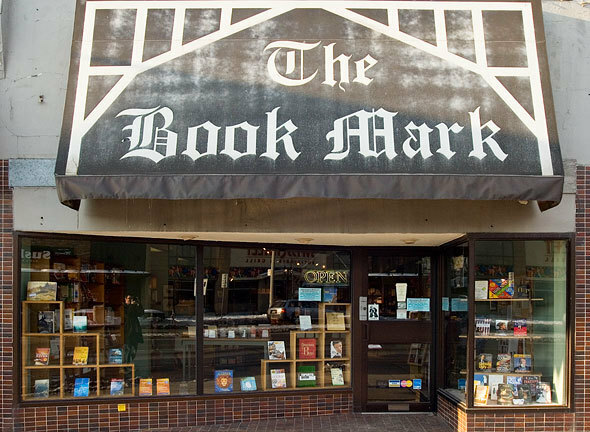 Susan Houghting has been working at The Book Mark since 1988 and owner since 1995. She answered some questions from blogTO about the store and what it means to be an independent bookstore owner. I think it's half and half. The community really does dictate what you bring in to sell but you still like to put your own mark on it. I have a degree in British history, so we always have a very strong history section. 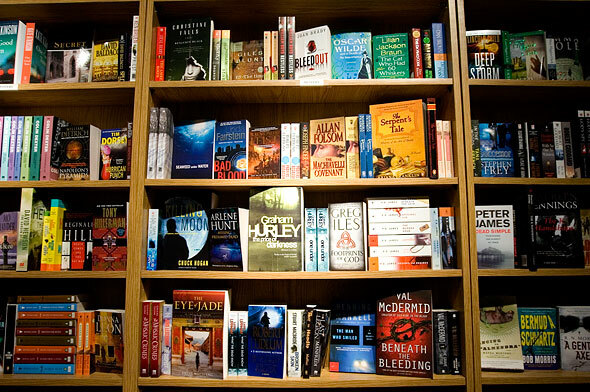 And I have always loved British authors so I tend to bring in more of them than others stores might. 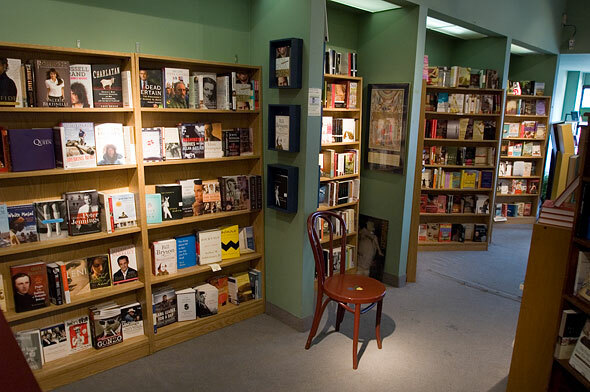 To some extent the staff also dictates what I order - when I have a bookseller very strong in a certain section then I make sure that that section is well-stocked. Mysteries come to mind when it comes to that. I've always had at least one person on staff who is a mysteries fanatic (right now it's Diane) so I like to make sure she has lots to sell. store, i guess that's a big seller? Children's books are very important to us. 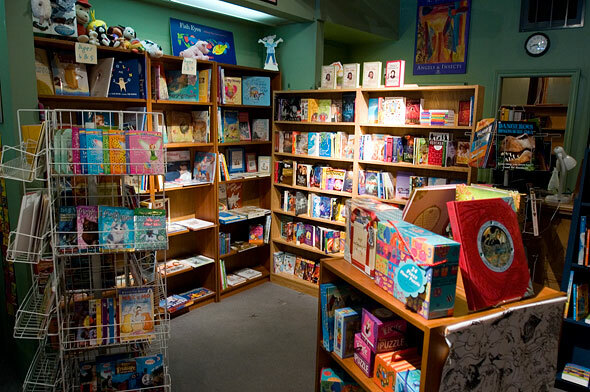 When Mabel's Fable's closed in our neighbourhood we gladly doubled our children's section. I have a fantastic bookseller, Chris, who takes care of the section and does all of the ordering. What other sections are popular? Fiction is the top seller, of course. Otherwise, Mystery, Cooking, Travel, Biography and History do very well. We sell a lot of cards too - our customers really love the selection. The rocking horse (pictured at the top, middle) is kind of a staple for the store, is there a story with it? The horse is from a carousel of tiny horses which the previous owner's husband picked up somewhere. I honestly don't know how old it is but I certainly remembering sitting on it when my Mom brought me in as a child. Can you describe your frequent shoppers card? Our avid readers' card is free and is stamped with the pre-tax total of your purchase. After 10 purchases we average it out and you get that free towards your next purchase. For instance, if you always spent $50 then your credit would be $50. Our customers love the card and we are very happy to have been offering it to them for over fifteen years. My Current favourite is Per Petterson's Out Stealing Horses . Winner of the 2007 IMPAC Dublin Award. Petterson, a Norwegian, has crafted an impressive novel that is typically Scandinavian; clean, simple and poignant. It's the tale of an old man trying to piece together the foggy details of a tumultuous and dark past that tore two families apart. A powerful and suspenseful story.